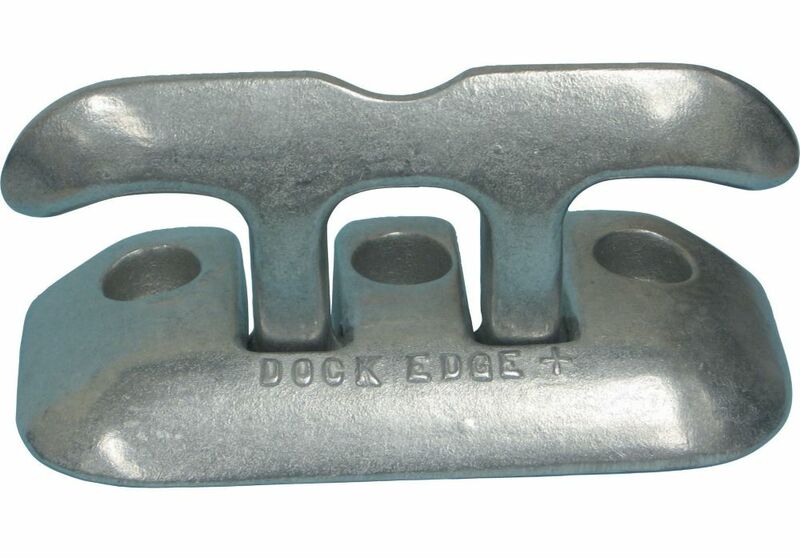 Tradtional, cast iron, hot dipped galvanized dock cleats. This 10" cleat is the durable and practical solution for dock side mooring. 8-inch Polished Aluminum Flip-Up Dock Cleat is rated 4.0 out of 5 by 1. Rated 4 out of 5 by Philip from Product is great, ordering experience not so good Was a big effort with lots of calls to Home Depot to get the product, but once it finally arrived, it worked well. Note, however, that it doesn't come with mounting hardware. Some might find this irritating, but different mounting locations will require different hardware.